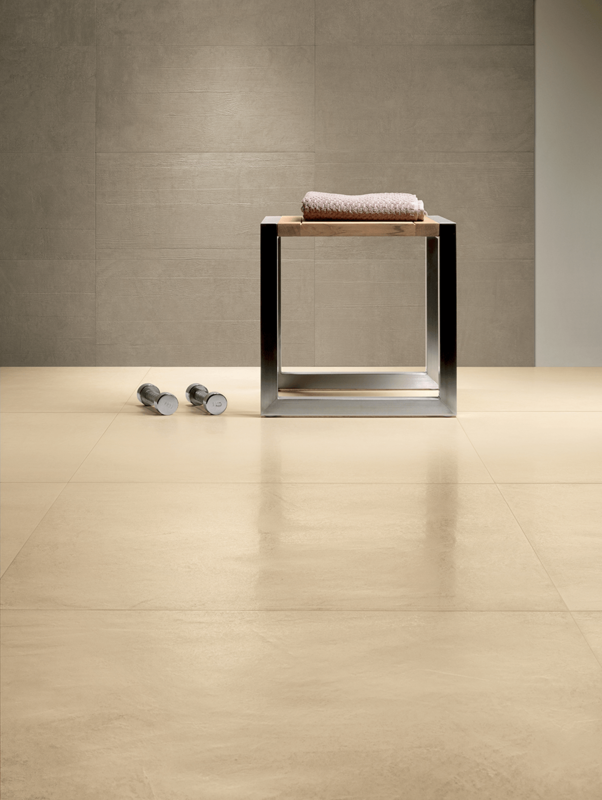 Our Caesar Ceramic flooring is one of the leading brands across Europe and we supply them from Italy direct to you. 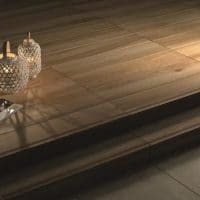 The durability and low maintenance factors of a real ceramic floor means there’s nothing quite like the feel of ceramic inside any domestic or commercial setting. 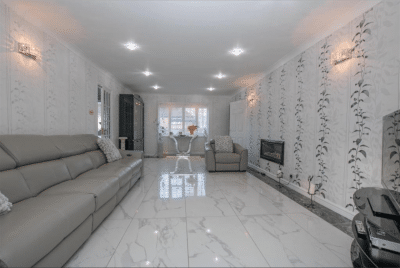 When it comes to quality of product you’ll see from our range of ceramic products and portfolio images that you’re dealing with one of the best in the business and we don’t mind saying so! We’re eager to prove it on any size of project. 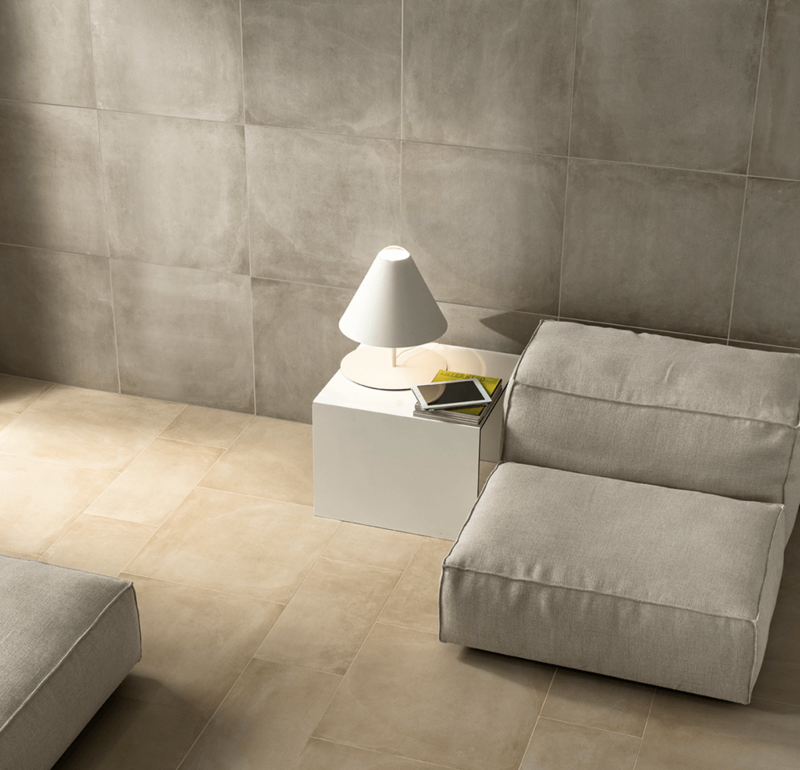 These tiles are designed to combine the beauty of natural stone with the durability and strength of porcelain. 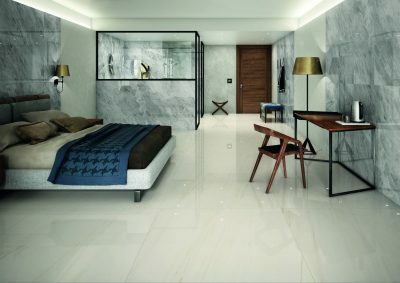 Allow for creative freedom with Tale Travertine porcelain tiles to make a traditional yet modern space that can be used in both commercial and residential projects. The Absolute range is for those who savor a natural lifestyle. 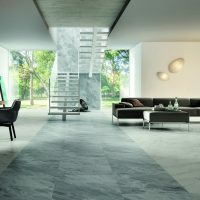 If you appreciate touch and versatility of stone combined with progressive form, this collection allows you to clad the indoor and outdoor surfaces of your home with ingenuity and originality. 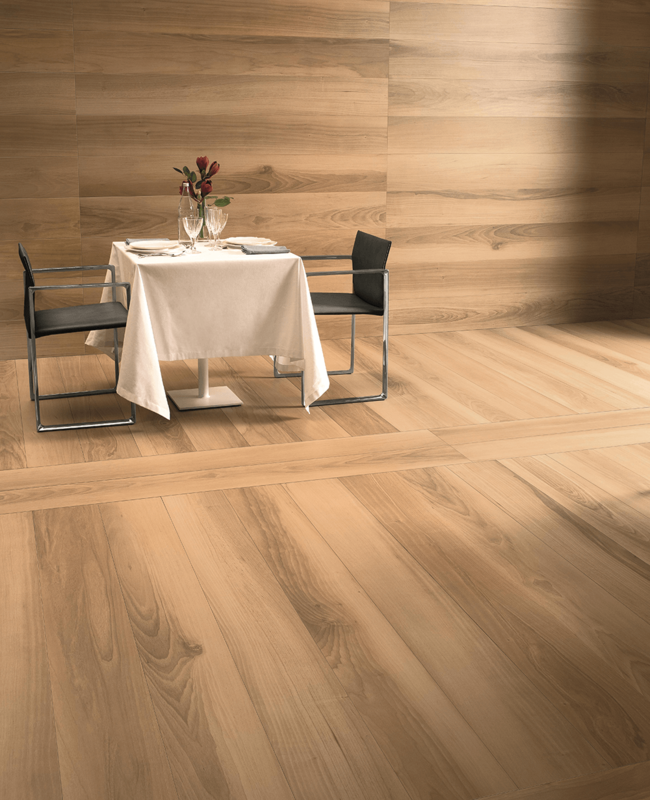 Fabula natural wood effect porcelain tiles are inspired by five luxurious timber textures. 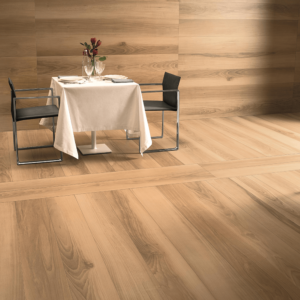 Ideal for creating a warm and organic pressence in diverse architectural spaces. Each beautiful tone is available in chevron format. Attention to detail, flair for designs and shapes, excellent technical performance. 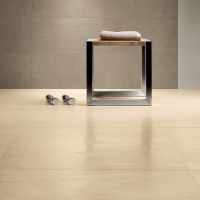 Since 1988 Caesar has been synonymous with top quality porcelain stoneware, the perfect union between technology performance, functionality and aesthetics. 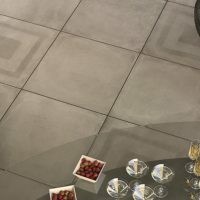 The versatility and quality of Caesar Ceramic tiles can be seen in every range we offer, widely used in commercial applications like airports, shopping centers, banks and also domestic dwellings internally and externally, where the developers and/or owners require a very high specification finish. 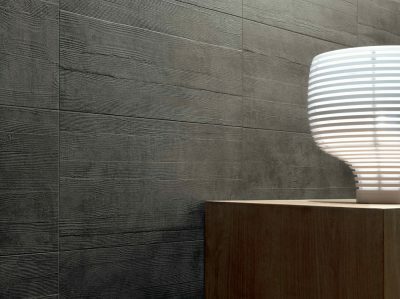 Right from the first time it catches the attention, Caesar Ceramic stoneware affects the ability to communicate the deepest sincere aspect of the matter of inspiration. 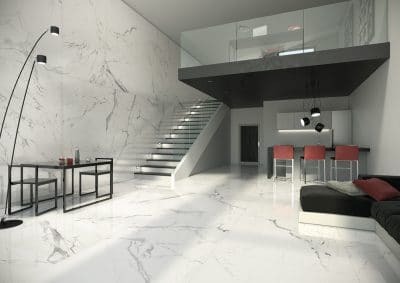 An innovative and unique finish, on which sheen and opaqueness intersperse and alternate, in a thrilling game that produces constant changes of light on surfaces. 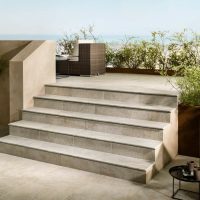 Our unique Italian product range by Caesar Ceramics in 20mm thickness, suitable for use in all outdoor flooring projects. 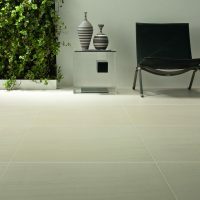 Whether for a small residential garden or a huge commercial project, Caesar Ceramics are the perfect choice. 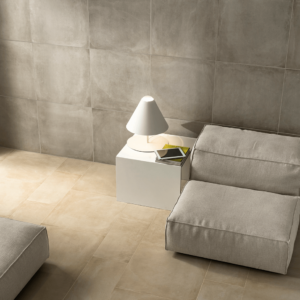 The Aextra20 system is made up of monolithic porcelain stoneware slabs, perfectly squared and rectified with anti-slip surface finish. Four different installation solutions, a broad colour palette and a complete set of trims to meet any planning need. 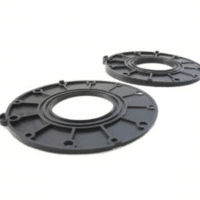 This revolutionary system can be installed onto grass or gravel substrates with no need for adhesives or grouts in an easy, quick and clean way. These types of installation are perfect for residential gardens as well as parks and public spaces. 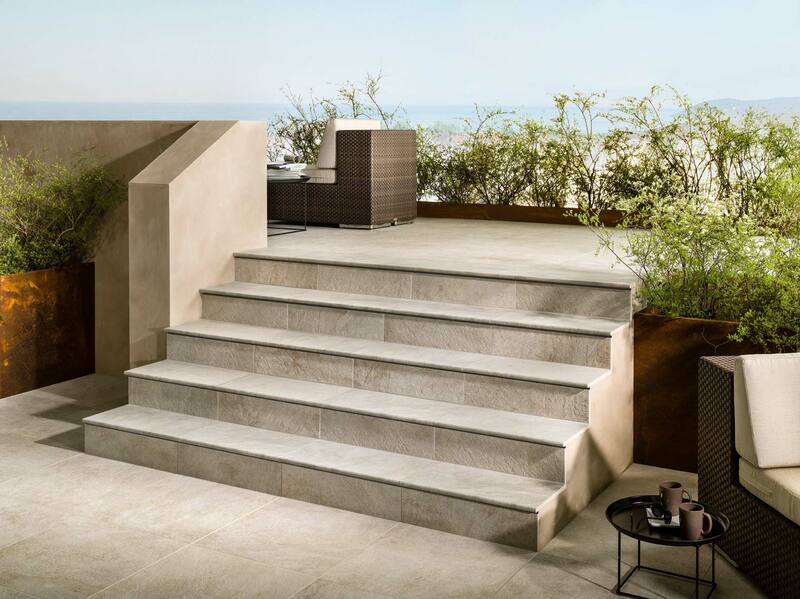 Thanks to its versatility, our range of ceramic paving finds a perfect application both in private and public environments and can be used to floor outdoor spaces such as pathways, yards, pavements and outdoor areas with numerous installation solutions. 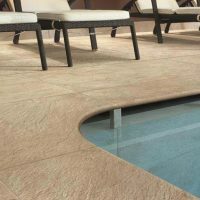 Compared to standard thickness tiles Aextra20 slabs, installed using the traditional technique, offer a higher resistance to loads which is particularly suitable for carriageable floors and other outdoor application which require heavy loads or regular traffic. 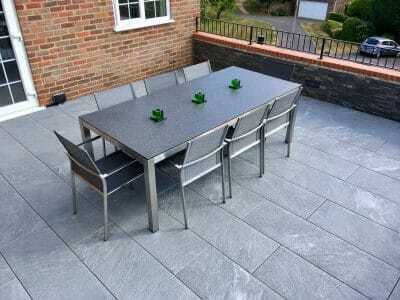 We supply the finest ceramic paving materials, educated designs and professional installation. 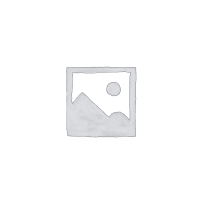 Based in Amersham, Buckinghamshire we cover the Home Counties, London, UK and the Middle East. Specified by world leading designers and architects, Exterior Solutions Ltd is the first choice when your project demands premium materials, beautiful designs and expert installations. 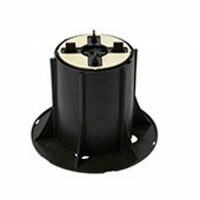 For more information on how we can help with your project, please visit our other sites dedicated to ceramics using the buttons below.